Why Brits have carpet in the bathroom? 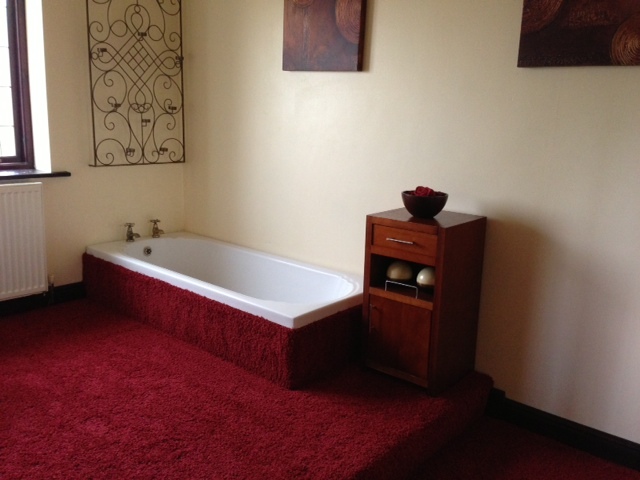 Home / Uncategorized / Why Brits have carpet in the bathroom? In many English homes could see carpet in the bathroom on the first floor while the second floor has tiles. There are houses in which carpet covers the floor of the bathrooms on both floors. First explanation: Since Britain is not accepted people to take off shoes when entering the house, it is more practical to have carpet in the bathroom to not remain traces of shoes. Second explanation: In the past, the bathrooms are not heated flooring and served as insulation from the cold. A third explanation is: The British have an obsession to carpet. Carpet can be seen in entering the British airport in pubs and administrative buildings, to bathrooms. Fourth explanation: Some explain the existence of the carpet in the bathroom that it prevents slipping. So Britain can not hear from acquaintance with shiner that his injury due to slipping in the bathroom. Some worry that rug keeps moisture from the bathroom, but usually there is no such danger, because most Britons keep the windows of the bathrooms open all year round. Modern bathrooms, of course, have no carpet on the floor unless the owners prefer not to have carpet. So if your carpet needs cleaning why don`t you contact us and get your free quote? Only council house tenants and those on benefits have carpets in their bathrooms these days because they are either too lazy to clean the floor by wet mopping or they are terribly common and vulgar. Clean intelligent people have tiles or lino. Thank you for reading our article.Yes,it`s true that in our days only the oldest properties have carpet in their bathrooms. To keep the carpeted floors they need to pay more attention with the cleaning. We can recommend to do steam carpet cleaning every 3 to 6 months to extend the life of the carpet. no wrong reasons. i had carpet in my up bathroom guess why? because the house was built between 1930-1940 and toilet back then were common and outside the house. each 10 houses share a toilet on the street!